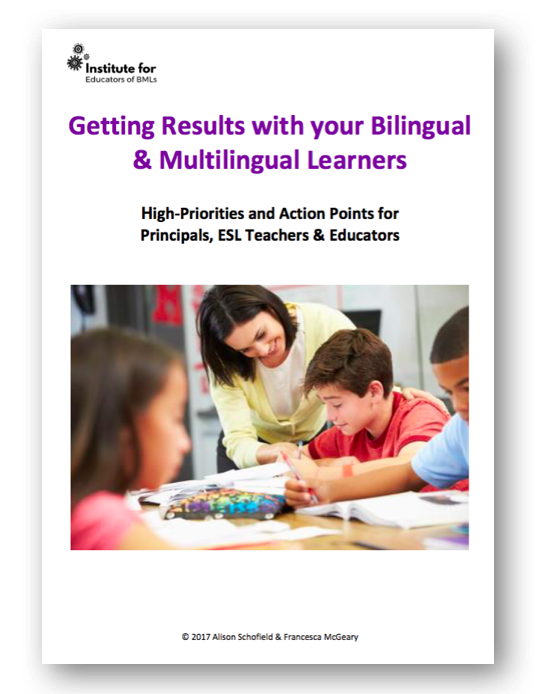 Sign up below to get our free E-Book, “Getting Results with your Bilingual and Multilingual Learners: High Priorities and Action Points for Principals, ESL Teachers and Educators”. Work smarter, not harder. Find out the high-priority areas to focus on at every grade/year level. Get instructions for observing and monitoring your students.